Puerto Rico and Costa Rica are now being supported locally. TAMPA, Fla., January 17, 2018	(Newswire.com) - — ComplianceQuest, a modern cloud Salesforce-based Enterprise Quality Management System (EQMS) announced today, that it is partnering with Quality Consulting Group (QCG) to further strengthen its market reach and the ability to provide world class, localized support to customers in Puerto Rico and Costa Rica. Both Puerto Rico and Costa Rica have emerged as leading locations globally for manufacturing and life sciences sectors. With skilled, experienced, yet inexpensive workers, low operational costs, a strategic location to support domestic and global markets and a favorable tax climate have lured manufacturers to Puerto Rico for decades. Many multinational companies, particularly in the pharmaceutical, biotechnology and medical devices industries, have chosen Puerto Rico as their home for manufacturing operations. Costa Rica is a leader in production process sophistication in Latin America, showcasing a consolidated industry that operates with a high level of complexity and broad diversity of manufactured products. A well-established supplier base in the country operating in compliance with international quality standards, the country supports six of the top twenty largest medical device companies in the world who have made Costa Rica their hub for creating a competitive, solid business operation. This region understands the need for a reliable and scalable EQMS solution based on a modern cloud platform natively built and run on Salesforce The local experience and competence that QCG brings to the table, coupled with the depth, versatility and efficiency of implementation that ComplianceQuest offers is unparalleled. Quality Consulting Group excels in providing a solution that clients can rely on. Together, ComplianceQuest and Quality Consulting Group will deliver to these fast-growing regions an EQMS solution that guarantees compliance with global standards and regulations. 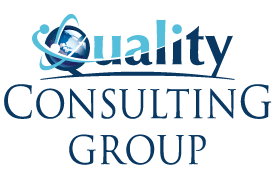 Quality Consulting Group is a specialty consulting company that serves manufacturing and life science industries including, pharmaceutical, medical devices, biotech, food, consumer, fuel and oils, among others. They provide valuable advice concerning validation, quality, regulatory, CSV, technology transfer and other areas as requested. The Quality Consulting Group team has a strong background and experience implementing automated solutions at global manufacturers. Their services include the consulting, customization, configuration, planning, project management, validation, implementation, training and on site and remote support. Quality Consulting Group is headquartered in Puerto Rico with offices in Florida, US and Costa Rica. ComplianceQuest is the fastest growing, 100% modern cloud Enterprise Quality Management System (EQMS) natively built and run on the Salesforce platform. Delivering best-in-class out-of-the-box solutions, ComplianceQuest fast-tracks an organization’s efficiency, safety, and overall performance by combining enterprise quality, compliance, collaboration and communication across the product value chain. Suitable for emerging growth companies and scalable and flexible to meet the needs of medium and global enterprises, ComplianceQuest is easy to implement, validate, and use. Our team of domain experts is committed to innovation, product excellence and to the success of our customers. For more information, visit ComplianceQuest’s website at www.compliancequest.com. ComplianceQuest is the fastest growing, 100% modern cloud Enterprise Quality Management System (EQMS) natively built and run on the Salesforce platform. The Indian Subcontinent, Southeast Asia and the Middle East are now being supported locally.